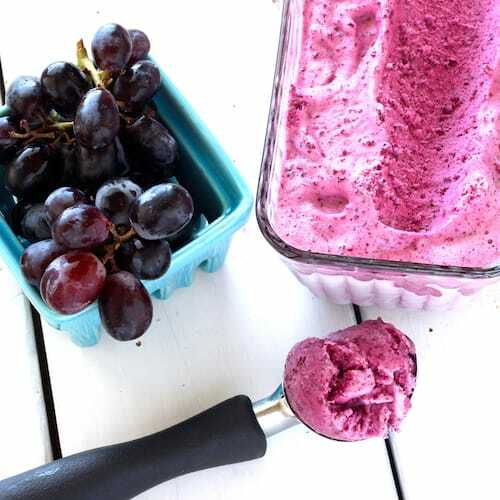 When it’s summer and the grapes are super fresh and ripe, you have to make grape sorbet! All you need are black grapes (and a little sweetener to keep things smooth and creamy) to keep the summer heat away. Oooooh my taste buds are doing a happy dance! 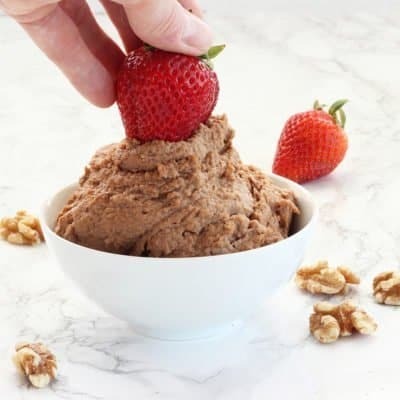 I haven’t made ice cream in forever but as soon as June hits and the temps hit the one teens here in AZ, I have to dig out my ice cream maker and make something cool and creamy. I’ve been spying these lovely black grapes the past few weeks at my Sprouts Farmers Market, so I thought I’d experiment with them. I have to say, this grape sorbet is one of my new favorite cool treats. And honestly, have you ever seen a prettier color? 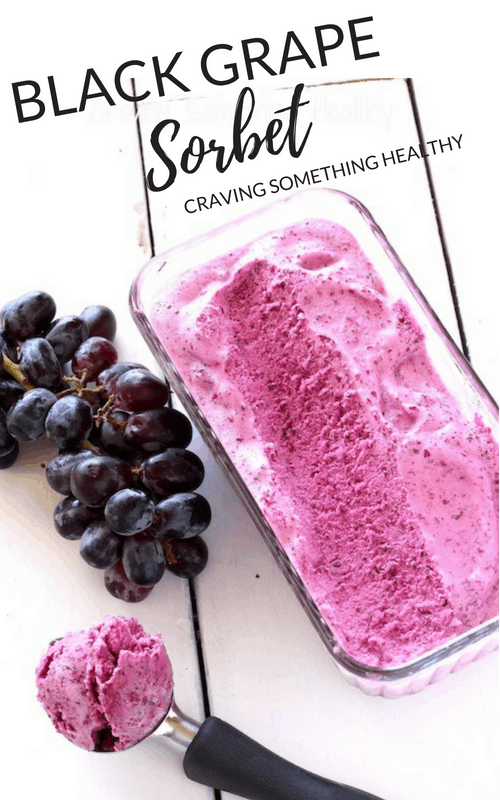 I really gave lots of thought to how I could make this sorbet super special – maybe swirl some Gorgonzola Dolce throughout? Or add some lemon zest and lemon thyme? 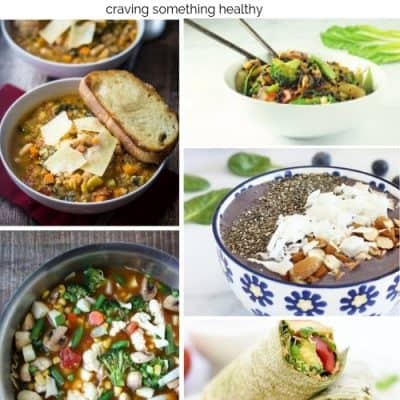 Or pair it with another fruit? After I tasted the plain sorbet, it was a done deal – it needs nothing. 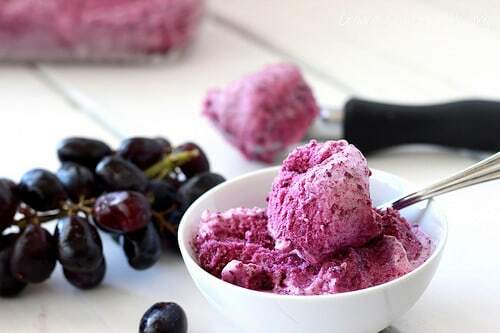 Hence the name — Just Black Grapes Sorbet. OK I did have to add some sugar to get it to freeze to the right consistency (if you don’t add some sugar or corn sugar, the frozen fruit turns too icy), and a bit of lemon juice to balance out the sweetness, but really, that’s it. If you haven’t tried black grapes, please run right out and get some. 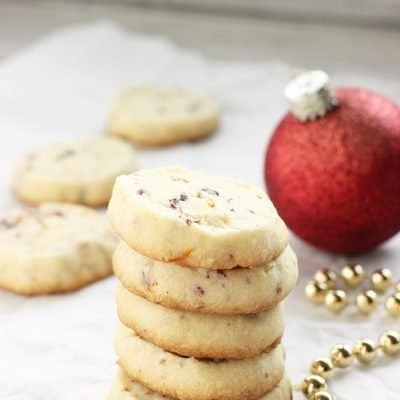 They’re so ridiculously sweet and delicious and I’m starting to see them all over the place right now, which means they’re super-fresh and seasonal. Grapes are one of the healthiest fruits you can eat – they are especially high in antioxidants and phytonutrients. You’ve probably heard that red wine is good for you, and that’s because it contains a compound called resveratrol – found in the skins of grapes. Research studies have linked resveratrol to a reduction in heart disease and cancer, and an increase in longevity. 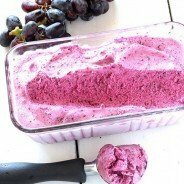 Most recipes I see for grape sorbet call for pressing the pureed grapes through a sieve to remove the skins. I left them on. One -it’s a heck of a lot easier. Two- I like a little bit of texture, and Three – I don’t like red wine, but I want my resveratrol! If you need a recommendation on an ice cream maker, I love my Cuisinart. It’s reasonably priced and super easy to use. I don’t make ice cream often, but when I do, it’s fun to experiment with different flavors of ice cream, sorbet, frozen yogurt and even non-dairy coconut options. a cool, creamy and healthier sorbet that's packed with antioxidants. Place sugar, corn syrup and lemon juice in a medium saucepan and heat on medium-high just until sugar is dissolved. Add grapes and bring mixture to a boil. Reduce heat to medium-high and let boil for about 4 minutes, or until grapes start to release some liquid. Reduce heat, and simmer for another 4-5 minutes, until grapes start to break apart and they are completely softened. 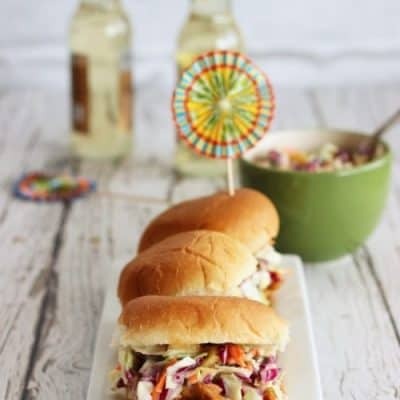 Let mixture cool in the refrigerator for at least 30 minutes. Pour entire mixture into the bowl of a food processor fitted with the chopping blade, and process until grapes are fairly smooth. 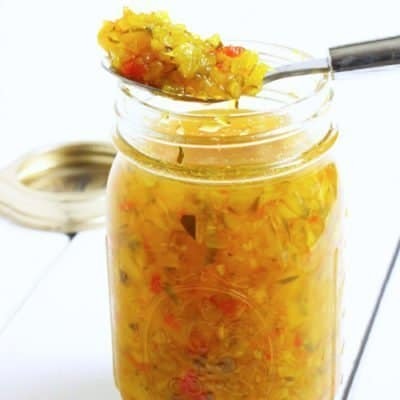 Pour mixture into a large lidded measuring cup or bowl with a lid, and refrigerate at least 3 hours or overnight. 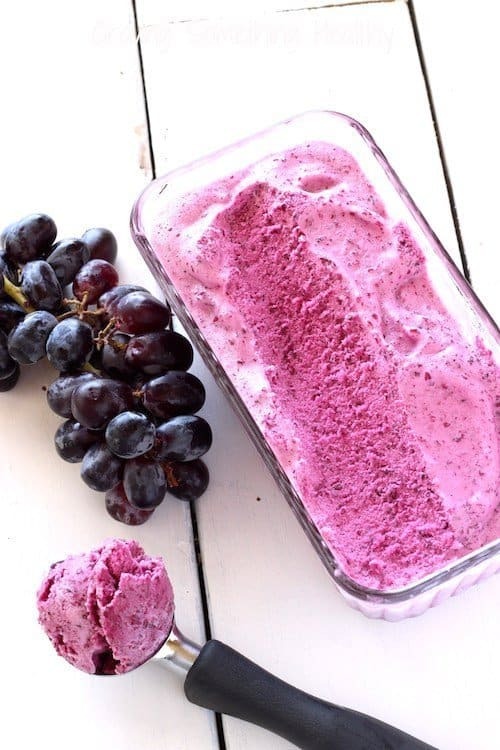 Pour cold grape mixture into the bowl of an ice cream maker and churn for approximately 30 minutes or until light and fluffy in texture. Transfer sorbet into a lidded container and freeze for about 4 hours. Sorbet is best enjoyed the day it's made. It can be frozen for longer, but let it sit out and thaw until soft enough to scoop. Which color grapes do you like best? Have you tried black grapes? Gorgeous! We typically eat red grapes, but love these black ones, and great idea to keep the skin on. And, here I was feeling sorry for myself that it’s been 90+ degrees in San Diego 🙂 Stay cool! The color of the sorbet is amazing! It’s sure makes me want to dig in. When you get settled in it would be fun to get together for a coffee, that is, if you’re living in the Phoenix area. Hi Mireya – Thanks for visiting, and Yes! I would love to get together – I’ll send you a message! Very easy and quick. If you have kids, that love grapes, they should really love this.